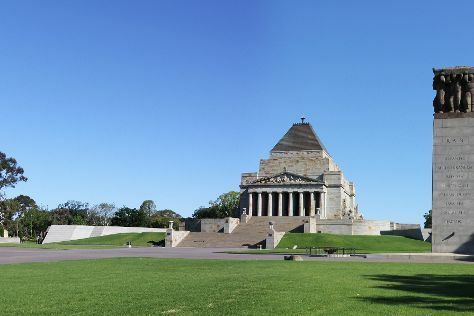 Popular historic sites such as Shrine of Remembrance and St Paul's Cathedral are in your itinerary. Step out of the city life by going to Lake Wendouree and Melbourne Zoo. Venture out of the city with trips to St Augustine's Church (in Creswick) and Eastern Beach Reserve (in Geelong). Next up on the itinerary: see the interesting displays at Melbourne Museum, take in the history at The Mystery Rooms Melbourne, admire the natural beauty at Royal Botanic Gardens, and explore the world behind art at National Gallery of Victoria. For reviews, photos, traveler tips, and more tourist information, use the Melbourne route tool . If you are flying in from New Zealand, the closest major airport is Melbourne International Airport. February in Melbourne sees daily highs of 32°C and lows of 16°C at night. Finish your sightseeing early on the 24th (Sun) so you can travel back home.